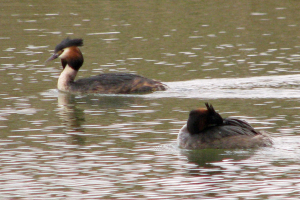 Observation - Grebes displaying - UK and Ireland. Description: I love the elaborate head and neck movements, but have seldom seen it so close up. Oh, for some sunshine! I love the elaborate head and neck movements, but have seldom seen it so close up. Oh, for some sunshine!